Humunga Stache...a ball and mustache all-in-one! Hilarious Fun! 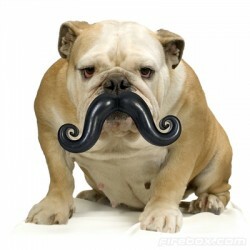 The Humunga Stache is a high-qual..
iFetch is a wonderful and innovative new interactive toy for dogs. It is a ball launcher that .. Play in your backyard, at the park or on the water (it floats)! This flying disc provides hours o..
Interactive Fun! Fun and intellectually-stimulating, the P.L.A.Y. Wobble Ball is an enrichment tr..